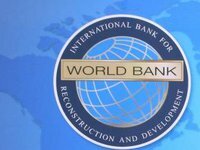 The World Bank with financial support from the EU is implementing a five-year Land Transparency program in Ukraine with a budget of EUR3 million. "The program will start from three pilot regions of Ukraine - Kyiv, Lviv and Mykolaiv. We are open to a dialogue with other regions in order to expand the coverage of the program, but we have financial limitations," Satu Kahkonen, the World Bank Country Director for Belarus, Moldova, and Ukraine, said when signing a memorandum of cooperation between the implementing partners and the beneficiaries of the program. To implement the program, the EU and the World Bank have united their resources and created a trust fund to finance Land Transparency. The program is designed for the period from December 2017 to December 2022. Its beneficiaries are the owners of agricultural land, farmers, territorial communities, central and local executive authorities. Work in the framework of the Land Transparency program is aimed at technical preparations for the opening of the agricultural land market and steps to increase the investment attractiveness of the agricultural sector and rural areas in the context of decentralization, strengthening the technical capacity of local governments, primarily through improving the quality of land registration (digitization of cadastral data, completion of land registration and error correction in the state land cadastre and the rights register) and land management.